The Little Mountain Gallery, which is more of a fun-size theatre with a mini bar than a gallery, hosted a monthly-recurring art/comedy event called Come Draw With Me performed by Alicia Tobin. Tobin didn’t have to do any drawing though — that was the audience’s job. We had 10 minutes to draw whatever Tobin directed us to and then we handed in our ‘art’ to be held up in front of everyone. “Don’t make fun of people … that’s my job,” said Tobin. She insisted that this was most certainly not improv because of a very particular reason, but she never specified what that reason was — and I’m pretty sure I was the only attendee who wanted to know. Not that I thought the other 40 or so attendees were any less conscientious than me, just that they were most likely all drunk on red wine. 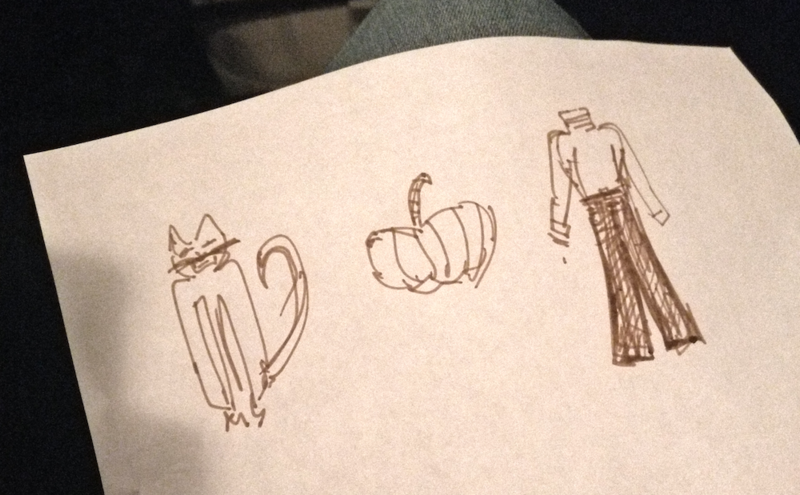 I handed in my paper and was complimented on my abysmal rendering of a cat and a pumpkin because Tobin wasn’t ever really mean. There were also two guest performers. The first one onstage, Katie Nordgren, started off with a joke about the trials of commuting. Things went downhill after she shared a horrifying story about her IUD and something awful about surrogacy. “Is this what adults find funny?” I remember thinking in a mild panic, while everyone around me roared with laughter. I never thought the word ‘winsome’ could be used outside of Anne of Green Gables, but the second comedian was exactly that. Maddy Kelly was smart, hilarious and self-deprecating — but not in a way that makes you want cough and avoid eye-contact. Overall, it was a pleasant yet slightly confusing experience. Tobin wasn’t straight up funny, but I think that it was because of the event’s format rather than any real lack of ability of her part. 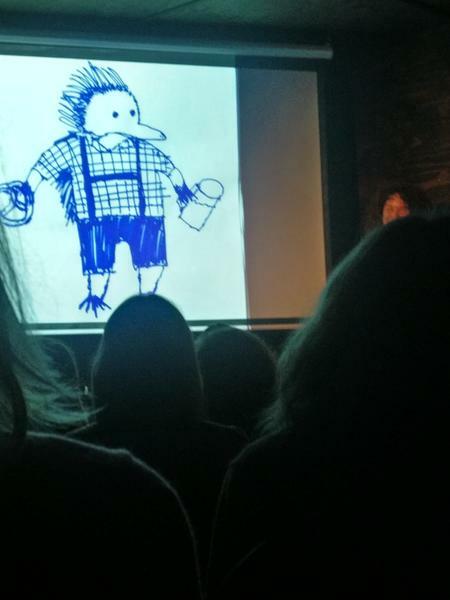 The comedy was portrayed through a situation that the entire audience had essentially put themselves into: doodling with a bunch of strangers and then yelling about it. Most notably, Tobin’s adorable dog Charlie was there too. He stayed next to me the whole evening which was an added bonus to an already fun night.